Share your lovely mug with the world with this great deal! 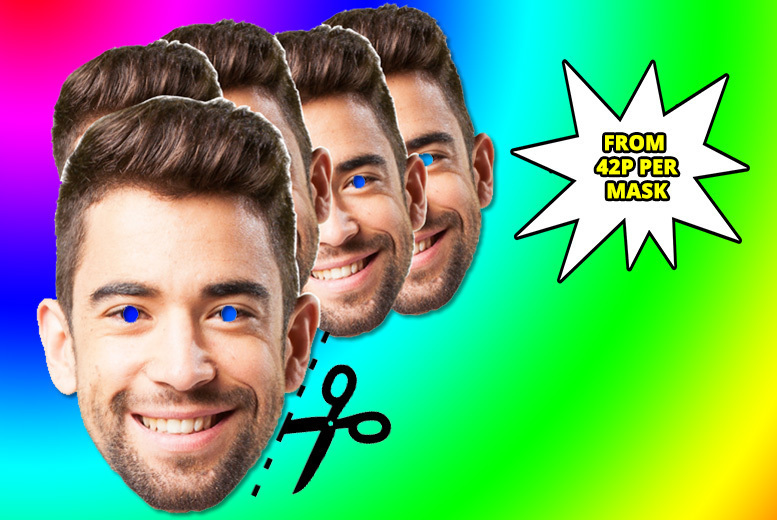 Get a set of 10, 16 or 24 personalised face masks! * Printed on high-quality photo card. Comes with eye-holes cut out! With elastic strings included (some assembly required). A great gag for parties!